1. Assisted suicide turns doctors into killers. 2. Assisted suicide endangers the weak and vulnerable. Wherever assisted suicide has been legalized, safeguards to protect the ill have been inadequate, watered down or eliminated over time. People who deserve society’s help are instead treated like chattel and offered death. 3. Assisted suicide laws give societal approval to killing. Legislation that allows people to end their lives automatically creates incentives to seek death as a cost-saving option. The elderly and infirm are seen as burdens and can easily be disposed of. Suicide becomes the easy way out. 4. Just call it what it is: suicide. Under the false guise of ‘compassion,’ all sorts of euphemisms are being used to force this dangerous legislation on America -- phrases such as “aid in dying,” “end-of-life options,” and “death with dignity.” But there is no getting around the truth: these laws allow doctors to administer drugs designed to facilitate suicide. Even more insidious, the lethal drugs are falsely labeled as “medication” while designed to do the exact opposite of any true medicine. 5. Assisted suicide laws are unfair to the disabled. The vast majority of those requesting assisted suicide in Oregon was not because of pain, but the loss of functional ability. The mindset involved in allowing the practice of assisted suicide equates disability with a “loss of dignity.” But, every day, thousands of disabled Americans rely on the assistance of others, without any loss of dignity. 6. 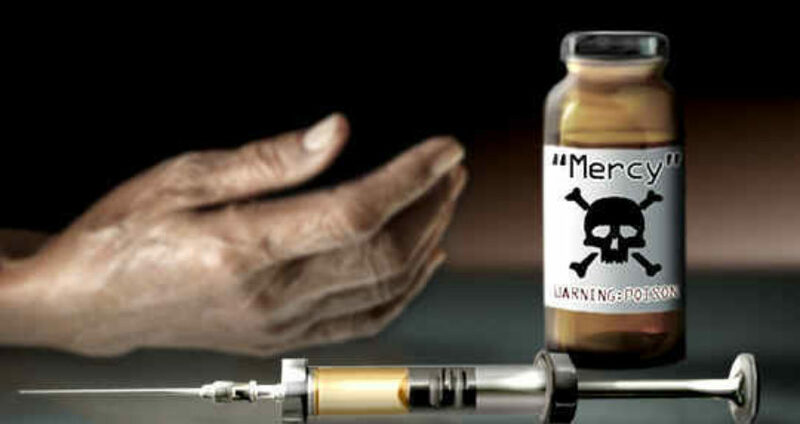 Assisted suicide laws lead to euthanasia. In fact, the Dutch now kill patients and babies born with deformities. 7. Assisted suicide laws put the poor at risk. Those without financial resources are most at risk from this dangerous legislation. Suicide becomes the cheap alternative for the poor who cannot afford costly treatment and medication. By passing assisted suicide laws, the state takes an interest in promoting the suicide of its citizens in order to save money. In fact, many insurance companies also favor assisted suicide because is saves them a lot of money. 8. It pressures dying people to end their own lives. Those coping with terminal illness are pressured to take the easy way out. “Not being a burden” becomes a powerful temptation to end one’s life. Instead of cherishing the sunset of life, a terminally ill person’s last moments are deliberately cut short. Laws of this type also allow relatives and family members to kill in order to access inheritances and take advantage of the situation. 9. 3.4 million nurses oppose assisted suicide. The American Nurses Association, which represents 3.4 million registered nurses, has clearly stated that:"... the nurse should not participate in assisted suicide. Such an act is in violation of the Code for Nurses [...] and the ethical traditions of the profession." 10. Assisted suicide laws go against the Law of God. The practice of suicide goes against the 5th Commandment: “Thou shalt not kill.” This commandment prohibits the murder of oneself or the murder of others. The state has no right to approve laws contrary to the moral and Divine Law. And all people of good will should firmly reject assisted suicide and stand up for morality and right reason. Do you know what the difference is between civilization and savagery? The difference is respect for natural law. Even the pagans knew how natural law is engrained in our rational human nature. We tend to do good and avoid evil. So, to kill oneself or to “help” another person kill himself shatters that fundamental principle of natural law and paves the way for a new "stone age" of dog-eat-dog barbaric savagery. And -- as history demonstrates -- the gap between “assisted suicide” and mandatory suicide can be very narrow. Who can guarantee that the legalization of “assisted suicide” today won't prepare the way for a new version of Auschwitz cremation ovens tomorrow? God bless you and please help us defend moral values by subscribing here.